Tissot Watches Good or Bad? A big Yes! to the question are Tissot watches good. Before we get into the introduction of Tissot. Let me give a very strong supporting evidence of why Tissot Watches are good. This brand is the official timekeeper for a sporting event. Not just ordinary events but for the world championship events for sports like cycling, motorcycling, hockey, and fencing. These sports are regulated by highly professional and competitive bodies. They will never select an ordinary brand for such an important task. My love with Tissot began after this masterpiece Tissot’s Heritage Visodate. I see it as one of the finest pieces designed by them. Founded in 1853 by Tissot family living in Switzerland. Swiss watches have a long history of producing high-quality watches. Tissot family has certainly contributed significantly to this heritage. When did Mathey and Tissot Join hands? This never happened. In fact, it is one of the most common misconceptions among people who even own a Tissot watch. Tissot is a member of The Swatch Group who is distributing its watches to 160 countries. Tissot never had a joint venture? Tissot did merge with Omega watch making company. The two produced a fine series of one of the most sought-after Tissot-Omega watches which later on became The Swatch Group. Why are Tissot Watches good? They have a rich history contributing to a lot of positives to Swiss Watches Heritage. With a staff of just 250 employees, Tissot has produced one of the best vintage and classic collections. Tissot went through a quiet phase where there was not much news about its watches but things have changed after the launch of Tissot Powermatic 80. This model has a movement which lasts for 80 hours that is more than 3 days times. In comparison with competitors which provide movement for around 2 days time. This is a COSC-certified movement having very low friction material used. The balance beating is at 3Hz which also helps in using lesser power for movement. A simple explanation is that the lower the friction is in the interior mechanical part lower will be the amount of energy used for the movement. Tissot Powermatic is a huge leap in improving the power reserve of mechanical watches. How do you wind Tissot Watch? If you did not wear the watch for quite some time than it would require winding. However, if you keep wearing the watch then the side movement of your wrist helps the watch get some power. In case you plan to wear a watch after not using it for a while then to make it work you have to turn the crown clockwise more than 30 times. Typically 32 clockwise turns give watch enough power reserve for it to work for a good few days. Is Tissot Making Tactical Watches? The basic requirement for the tactical watch is low profile rugged design. Tissot is making very strong watches but in terms of low profile nature requirement, Tissot has not aimed to produce tactical watches. However, some of the Tissot watches offer a wide range of functionalities that can help outdoor activity fans achieve functions they do from tactical watches. If you are a big fan of Tissot and want to take it outdoors then consider customizing it. Currently, Tissot main goal is to produce strong vintage collection watches. Is Tissot a Luxury Brand? There is a strong debate on this topic. Some retailers are selling Tissot watches under the fashion category while some are doing that under the luxury section. If we dig further and check facts than Tissot is actually not a luxury watch but in fact, it is a middle range brand categorized by The Swatch Group itself. For luxury watches, Swatch endorses their brands like Breguet, Harry Winston, Jaquet Droz, and Omega. Swatch officially states that their luxury range of watches begins from Omega. Do not get fooled by someone claiming Tissot as luxury watch as the brand itself does not promote it so. If they are not luxury watch then why are Tissot watches good. From a performance point of view, Tissot watches are no less than the high-end models. The strong build and accurate movements make them really valuable. Even in the harshest conditions, users have reported that their Tissot has lasted for more than a decade. 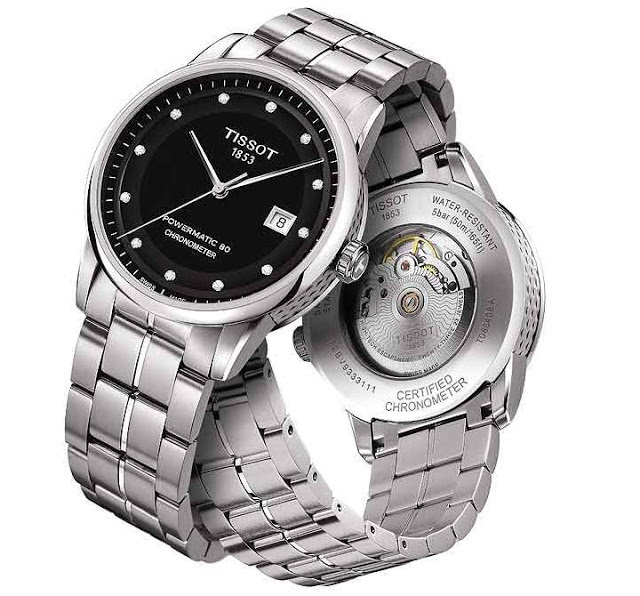 Tissot has collections for both men and women. We thought why not introduce and recommend some pieces to you too. The name basically gives away all the surprise. 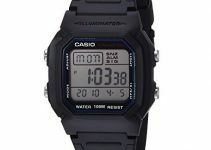 This collection includes watches for men and women who are into sports. The timepieces have been solely designed for people who live an active and adventurous life. The watches are not just number one in innovation and technology but they are very eye-catching and fit perfectly for every occasion on every outfit of yours. The collection has basically a number of families, each of which is focused on watches for active lifestyles. They are made up of high-quality stainless steel with Swiss or Quartz movement to glow it up a little bit more. This collection never fails to manufactures watches which are an all-rounder, a perfect blend of style and function. Check out this two-tone Tissot’s T-race. This collection is one of the favorites collection of regular customers. The name T-Classics automatically leads you to a belief that you are looking for a very sleek, elegant and an expensive watch. These are the watches that you wear in your formal office party or to turn the heads in your morning meeting. These watches have a sleek design and an incredibly high-quality build but not all of them are expensive. Featuring Quartz or Swiss movement in most of the watches tell how accurate and precise these watches are. 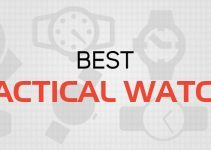 So if you are looking for a watch that fits your every outfit, here is the catch. This silver dial tradition is a vintage classic. Watches for ladies have become an integral accessory for them to complete their outfit. Women need to have a variety of watches and a collection to choose from just like men. And so, Tissot came up with this amazing woman T-Lady collection. From big, glamorous dial to its sparkling strap, women too need watches which will make them confident. These luxurious watches satisfy women with advanced functions and easy display and long term batteries. The collection is being continuously improved by the company, with impressive functions. Ladies love gold plated watches, check this beauty. Who said pocket watches are out of fashion? Tissot’s pocket watches are one of the most popular collections. They don’t just dictate the style but they are a perfect gift. Tissot creates some of the most beautiful pocket watches in the world. They don’t just give you options based on its design but the functions are different too. The watches features Roman and numeric numbers with subdials as well. These watches are a perfect epitome of ‘Old is Gold’ and guess you won’t have to waste a lot of time deciding for the next gift. You may feel interested in this lightweight pocket watch. Tissot’s Heritage collection is the one people drool over. This collection has blown their minds with its exceptionally astounding and stylish, yet formal watches. None of the collections remind you of the earlier times and take you back to the 1900s. They translate nostalgia into their detailed and dedicated timepieces. The gently made watches feature mostly Swiss movement for perfection and accuracy. The leather strap just pops everything into the only watch that you want to wear for the rest of your life. Experience luxury with this brown strapped Tissot Visodate. This is the collection that features both men and women features. It has elegance, style, and luxury written all over the watch with great attention to details of the timepieces. The Gold in T-Gold reveals that they are housed in 18 carats rose or yellow gold cases. The beauty doesn’t just end on the case, it is reflected within the watch as well. It is powered by either Swiss, mechanical or automatic movements that provide a usual set of functions and subdials for seconds, minutes and hours. These watches are the ones that draw instant attention towards you without even trying for it. The watches are a clear proof of why they have been named as one of the top brands of luxury Swiss watches. We chose to display Prs200 in the gold finish because of its navy blue and gold combination. You sound;Very sincerely and honesty .I’m going to get for myself the Model: T0636371603700. I just bought a Tissot. Love the sqeeze release clasp, the weight of it, The materials used. High quality. Hey Linda, Yes indeed it’s a great brand. Would you like to share what model you bought? very interesting! Thank you for the info, very helpful, as my Brother would like to have one.